Halloween approaches. We suspect that it’s a favorite holiday for a certain cadre of people. Some people revel in fear. They seek it out; they search for reasons to be afraid. Fear is a draw to many financial-market participants as well. The financial website ZeroHedge.com has carved a niche for itself by appealing to the draw. Most everything ZeroHedge reports is reported with a slant to highlight fear: Stories of financial bubbles, impending market crashes, inevitable economic collapses, runaway inflation abound. If you seek a reason to worry, ZeroHedge is the website for you. A catchy title, to be sure, but there was no collapse. Yes, permits were down in September. Specifically, they were down 4.5% month over month. But when you examine the numbers more closely, you’ll find that they were up where it really mattered. Permits for single-family homes rose 2.4% to an 819,000 annualized rate in September. Year over year, permits for single-family homes are up 9.3%. So, accentuate fear, if you must. At the same time, don’t ignore the possibility that the glass is frequently half full. We believe it is more than half full when it comes to housing, particularly the new home market. Home builders appear to share our optimism. After dipping in recent months, home-builder optimism returned with a vengeance in October. 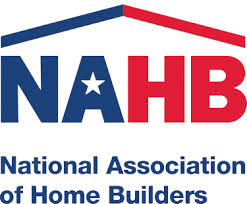 The Home Builder Sentiment Index rebounded four points to post at 68 (a posting above 50 is positive). Builders were particularly cheerful on the sales outlook. This component of the index was up five points to post at 78. New-homes sales were robust at the beginning of the year, but they faded during the summer months. This latest report on housing starts points to new-home sales regaining momentum. We expect the new-home market, both starts and sales, to enter 2018 as it entered 2017 — on a rising trend. We don’t see it. Even after five years of exceptional gains in home prices and building activity, it’s worth noting that single-family starts and completions remain significantly below historical norms. We expect to see a few more years of increasing housing starts and completions, at least in the single-family segment. We see no reason to fear the outlook on housing. Important. The recent uptrend in purchase applications points to an uptick in home sales. Important. Hurricane effects could hold sales down in the South, but sales in other regions should rise based on builder optimism. Important. Nothing new yet: Rising prices and low inventory continue to weigh on the existing-home market. 8:30 am, ET 3.2% (Annualized Growth) Important. The economy shows solid growth, which will help the Fed adhere to its policy to systematically raise interest rates. Everyone expects Federal Reserve officials to raise the federal funds rate at their December meeting. What’s more, most everyone expects the Fed to slowly and predictably reduce its balance sheet over the next couple years. Because everyone shares similar expectations, we’ve seen little movement in interest rates this month. We also haven’t seen the next dip in mortgage rates that we thought could occur after rates rose in September. We could still get one, though. It’s worth noting that North Korea’s leader Kim Jong Un has amped up his belligerent posturing in recent days. Markets are also nervous about the prospect of Catalonia breaking away from Spain. We could see more investors seek a haven in the usual assets — U.S. Treasury securities and gold. Should that occur, we could see the dip that has generally followed the rise over the course of 2017. Today, though, it’s mostly sideways, as it has been for most of October. This isn’t bad. A rate range of 3.875%-to- 4% is still the going range on a top-tier 30-year conventional loan on the national scene. In the grand scheme of mortgage-rate history, this is still a good rate. Of course, we all want a little better, but a little better doesn’t appear likely in the immediate future.